A surprising number of women aren’t taking one simple life-saving step to protect themselves. There are two reasons breast cancer surgeons don’t order genetic testing—and neither one is good. Here are two steps you can take to help yourself. Can you skip chemo if you have breast cancer? 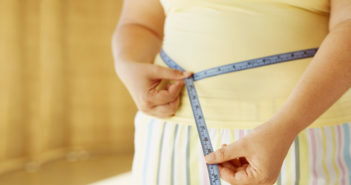 A new study details who can forgo this part of treatment. “Catch cancer early” has been a medical catchphrase for generations. 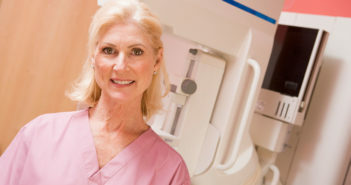 But many breast cancer tumors detected by mammography aren’t very dangerous. The FDA has found a link between “textured” breast implants and a rare form of cancer. From losing belly fat to a certain kind of exercise to curbing alcohol, here are actual science-backed ways to reduce breast cancer risk. 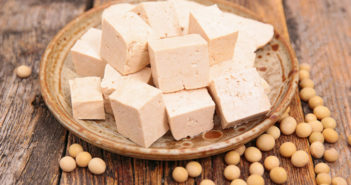 A diet rich in soy-based foods is good for everyone’s health, including women who’ve already had breast cancer. 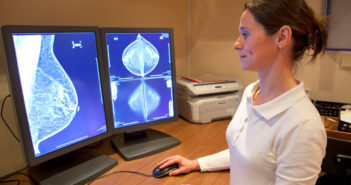 Preventive Double Mastectomy: What’s a Good Reason to Have a Healthy Breast Removed? 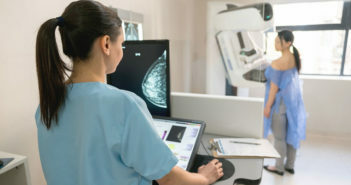 One woman in five who learns from a mammogram that she has breast cancer will be told she has ductal carcinoma in situ (DCIS)—abnormal cells found only in the milk ducts. It hasn’t spread, even to the breast glands. It’s such an early cancer that it’s often called “Stage 0.” Indeed, many experts don’t think it’s cancer at all but rather a possibly precancerous condition. Yet some women with DCIS go on to develop breast cancer…and some ultimately die from it. So it’s commonly treated to prevent future breast cancer, most often by removing the lump (lumpectomy) or sometimes by removing the entire breast (mastectomy)…followed by radiation…and then years of anxiety about the cancer recurring. 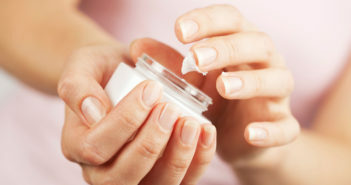 Now a major new study suggests that some treatments are unnecessary. The new finding is bound to change the way medicine treats this common condition…plus it reveals clues to understanding those cases in which DCIS does lead to invasive breast cancer. • The overall risk of dying from breast cancer in women with DCIS was about 80% higher than that of the average American woman but still relatively low—about 1% over the next 10 years and 3.3% over the next 20 years. • Age mattered. Women who were diagnosed before age 35 had a death rate that was 17 times higher than average. (This is a small group…only 5% of women diagnosed with DCIS are under age 40.) The older a woman was when diagnosed with DCIS, the lower were her chances of dying from breast cancer. • Race mattered, too. Black women were at higher risk—with an overall 7% risk of dying over 20 years rather than 3.3%. But the truly explosive finding was about the outcome of treatment. 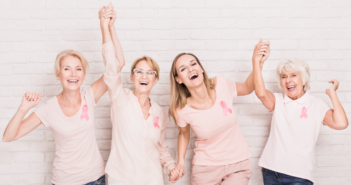 When the researchers compared lumpectomy alone with lumpectomy plus radiation and/or mastectomy, they found that the simple treatment had the same mortality outcome as the more extensive one. In other words, adding radiation or mastectomy did not lead to longer lives, on average. The new study will almost certainly lead many women diagnosed with DCIS and their doctors to reconsider what kind of treatment to opt for. But it also raises important questions about whether certain kinds of DCIS may require different treatment. The new research confirms what some experts have already suspected—DCIS is not a precursor to invasive breast cancer. How can that be, if women with DCIS had a higher risk of dying from breast cancer? A small subset of the DCIS tumors acted very differently from the others. More than half of the women who did die of breast cancer after a DCIS diagnosis were never diagnosed with invasive breast cancer—meaning cancer that had spread beyond the milk ducts into breast tissue. While it’s possible that some of those cases were misdiagnosed and invasive breast cancer was present but not found, it’s more likely that some DCIS tumors actually were cancerous already…and metastasized (spread to other parts of the body). The new findings open doors to more research aimed at identifying which DCIS tumors are actually dangerous…and which will never turn into cancer at all. DCIS in younger women, for example, may be a very different condition. Researchers are also looking into whether DCIS is best treated with immunological approaches currently being studied rather than with lumpectomy/radiation. 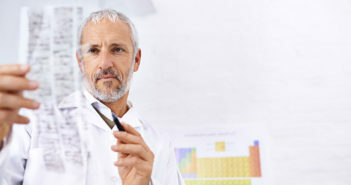 The new research certainly puts women…and cancer doctors…in a confusing situation. Getting a DCIS diagnosis means you are at somewhat increased risk of dying from breast cancer…but going for the most radical treatment will not necessarily increase your chances of survival. Remember, however, that these are averages, and every case is different. If you get a DCIS diagnosis, talk to your doctor, and find out how the specific characteristics of your case affect a treatment decision. That’s especially true if you are 35 or younger…or black. 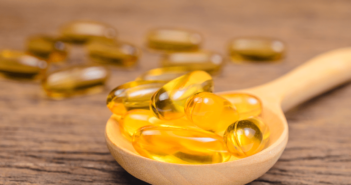 Other characteristics, including whether the tumor is affected by hormones, as well as genetic risk factors, may also lead to a conclusion that treatment is warranted. 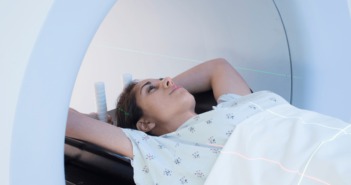 In some cases, the recommended treatment may be hormonal, with medications such as tamoxifen or raloxifene, rather than surgery/radiation, experts suggest. But more research is clearly needed to find out if a hormonal approach actually prevents cancer and cancer deaths. One thing is clear—the era of routine lumpectomy-followed-by-radiation for women diagnosed with DCIS is coming to an end. 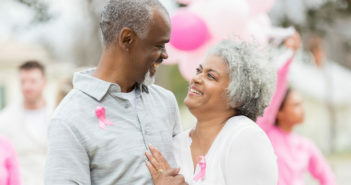 In general, your risk of dying from breast cancer is very low and treatment, even aggressive treatment, may not do anything to further reduce that risk. A diagnosis of DCIS is not an emergency that requires that surgery be scheduled in the next two weeks. You have time to consider your options. You will also want to work with your doctor to make sure that you get regular screenings and double down on your cancer-preventive lifestyle—a proper diet, regular exercise, drinking alcohol in moderation if at all—and avoiding hormone therapy for the treatment of menopausal symptoms. 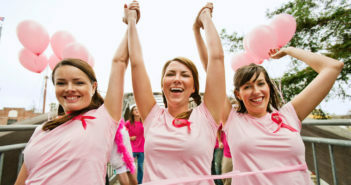 To learn more, see Bottom Line’s Breast Cancer Guide: Prevent, Detect, Treat, Recover.